News about Art, Art Fair, Art Events, Museums, Galleries, famous artists, art investment and art market for Art lovers and Art collectors. 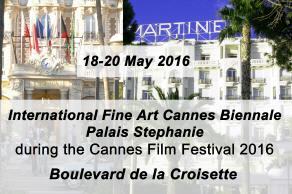 "International Fine Art Cannes Biennale" parallel to the Cannes Film Festival. Art Basel then and now. The extent to which the contemporary art fair Art Basel has changed compared to 2000? According artnews.com 217 galleries at Art Basel have issued in 2000, 2015 presented 223 galleries works of art. 92 galleries present their gallery each year and 131 galleries presented at Art Basel 2015 for the first time. It shows a great change in the art market. Famous pop artist in Germany, Austria, Switzerland and worldwide. Popular and famous contemporary artists Popular and famous modern and contemporary artists in Germany, Austria, Switzerland, USA and worldwide. Art Basel then and now. The extent to which the contemporary art fair Art Basel has changed compared to 2000? According artnews.com 217 galleries at Art Basel have issued in 2000, 2015 presented 223 galleries works of art. Pop Art artist Tanja Playner in Louvre Museum. Pop Art artist Tanja Playner in Paris Louvre Museum. The curators of the exhibition were convinced of the imaginative artworks of the artist Tanja Playner and have invited to show her heart-warming artworks in the Louvre Museum. Helene Fischer meets Pop Art of Tanja Playner Helene Fischer meets Pop Art of Tanja Playner. The world-famous Pop Art artist presents her new artwork "Helene Fischer Music World". Andy Warhol and Tanja Playner What have Andy Warhol and Tanja Playner together? 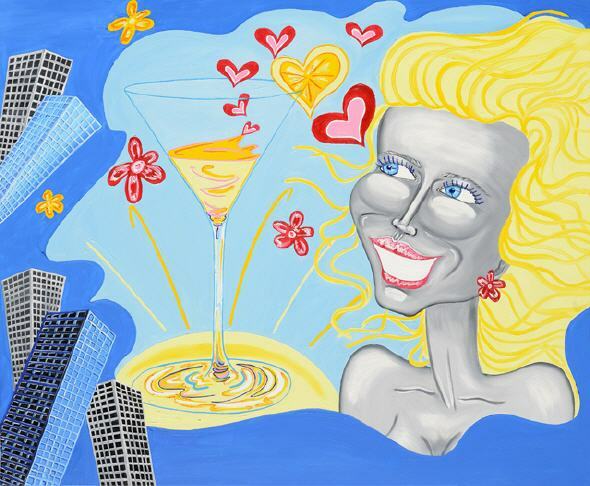 Andy Warhol and Tanja Playner are the perfekt symbiosis between art and business. The Pop Art views the world acquaintances Pop Art legend Andy Warhol who inspired the art world. No one understood it as good as Andy Warhol - thereby making politicians, celebrities and celebrity entrepreneurs to portraiture and icons. Angela Merkel meets Pop Art by Tanja Playner Angela Merkel is very popular among the German population. According to a Forsa survey, 63% of voters would have voted again for the Chancellor. So sees the worlwide famous Pop Art artist Tanja Playner Angela Merkel - feminine, but strong and secure welcomes German Chancellor Angela Merkel, the viewer of the artwork. What makes art an artist known? Exhibitions in galleries, museums, events, media are important in the artist's career and achieve different results of the attention and awareness. Many artists have achieved maximum attention by shocking effects, partially repulsive, terrifying and perverse actions. So many artists be known and come out on top of the art market. This raises the question: Is it possible to be successful today with BEAUTIFUL ästethischer art. Can we achieve enough attention with BEAUTIFUL art? Guggenheim Museum - Georges Braque Exhibition The Guggenheim Museum Bilbao presents a retrospective of the work of Georges Braque (1882-1963). Georges Braque was next Picasso one of the most important exponents of Cubism as one of the leading representatives of the avant-garde. Guggenheim Museum: Yoko Ono exhibition The Guggenheim Museum in Bilbao is dedicated to the 80th anniversary of Yoko Ono retrospective. Pop Art: Tate Modern: Pop Art Exhibition The Tate Modern shows how the artists from Latin America to Asia and Europe, the Middle East have dealt with Pop Art and inspired.